A HC49 crystal with formed leads and clip for SMD application. Available in fundamental and 3rd, 5th 7th and 9th overtones. Close tolerances and specifications available. 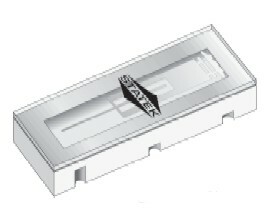 An industry-standard SMD crystal with the same base outline as HC49. Can height 2.5mm, 3.0mm or 4.0mm. A low-cost part, ideal for volume applications. SMD helical filter, are custom wound and screened. The helical band pass filter coils are available from 45MHz to 2600MHz, double pole, 50 Ohms or 75 Ohms matching impedance. SMD helical filter, are custom wound and screened. The helical band pass filter coils are available from 45MHz to 2600MHz, triple pole, 50 Ohms or 75 Ohms matching impedance. A reduced base outline crystal, 50% less than 49USMX. Can height 2.3mm. A low-cost part ideal for volume applications. An Industry-standard SMD packaged crystal. Although available on lead time we recommend for a mechanical and electrical replacement see Euroquartz part MP5 or MP4. 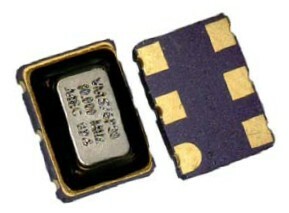 Industry-standard SMD watch crystal, 8.7 x 3.8 x 2.5mm. Stock number PH32768X. Low-cost source of 32.768kHz and from 30kHz to 100kHz frequencies. IR-Reflow capable. Custom crystal filters, overview of Euroquartz design and oproduction capability: Band Pass Crystal Filters, Linear Phase Filters, Comb Filter Banks, Band Reject Filters stc. 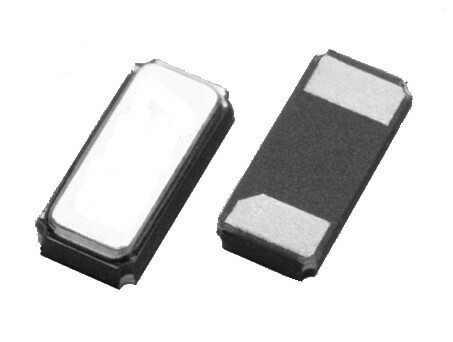 32.768kHz CX11SM crystals have a very small outline and low-profile and are suited for all low frequency applications. CX11SMAT crystals have a very small outline and low-profile and are suited for all applications requiring low mass and high frequency. CX18SM ultra-miniature crystals are designed for applications where miniaturization is paramount. 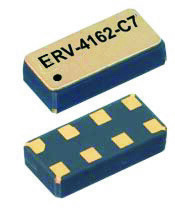 The rugged crystal is ideally suited for a wide variety of high frequency applications. CX1HGSM AT crystals are rugged leadless devices designed for applications requiring exceptional shock and vibration survival characteristics. 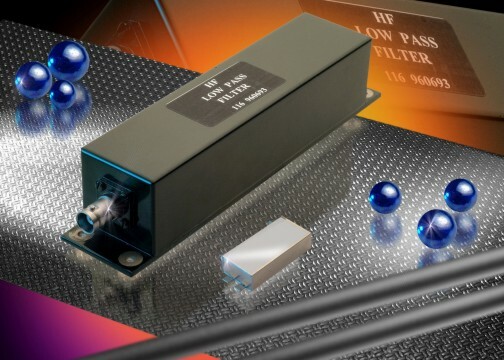 The 'HT' range of crystals are designed for high operating temperatures. The CX1VHT/CX1HHT, CX4VHT and CX9VHT crystals operate up to 200°C and feature an expected life in excess of 1000 hours at these temperatures. CX1HSM crystals consist of a high quality tuning fork resonator in a rugged, hermetically sealed ceramic package. CX1HSM is intended for use in Series (two cascaded inverters) oscillator circuits. The 'HT' range of crystals are designed for high operating temperatures. The CX1HT, CX4HT and CX9HT crystals operate up to 200°C and feature an expected life in excess of 1000 hours at these temperatures. 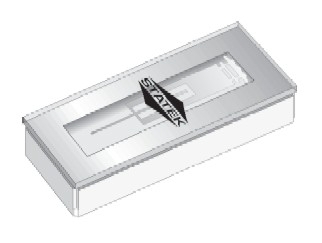 CX1VSM crystals consist of a high quality tuning fork resonator in a rugged, hermetically sealed ceramic package. CX1VSM is intended for use in Pierce (single inverter or 'parallel') oscillator circuits. CX2SMAT crystals in leadless ceramic packages are designed for surface mounting on PCB or hybrid substrates. The small footprint, low profile crystal is ideal for a wide range of commercial, industrial, medical and defence/aerospace applications. CX2VSM crystals are leadless devices designed for surface mounting on PCBs or hybrid substrates. The crystals are intended for use in Pierce (single inverter or 'parallel') circuits. CX3HGSM AT crystals are designed for applications requiring high shock and vibration survival. CX3SM crystals operate in extensional mode and are packaged in a high quality, rugged, hermetically sealed ceramic package. CX3SMAT crystals in leadless ceramic packages are designed for surface mounting on PCB or hybrid substrates. The small footprint, low profile crystal is ideal for a wide range of commercial, industrial, medical and defence/aerospace applications. CX3VSM crystals are leadless devices designed for surface mounting on PCBs or hybrid substrates. The crystals are intended for use in Pierce (single inverter) oscillator circuits. CX4VSM crystals are leadless devices designed for surface mounting on PCBs or hybrid substrates. The crystals are intended for use in Pierce (single inverter) oscillator circuits. CXOMK oscillators are high reliability SMD clock oscillators suitable for use in rugged environments. Full MIL testing is available. A high shock version of the part, CXOMKHG, is available. CXOX oscillators are ultra-miniature, high specification units which may be ordered in a high shock (HG) format. Available over commercial through to full MIL temperature ranges. 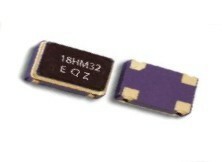 32.768kHz, ultra-miniature, tight tolerance SMD oscillator. Fast start-up. High shock resistance. Full MIL testing available. CXOXHT oscillators are ultra-miniature SMD, high specification units designed for extended use in high temperature environments. 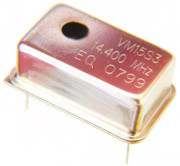 32.768kHz, ultra-miniature, low current, tight tolerance SMD oscillator. AT-Cut crystal. Fast start-up. High shock resistance. Full MIL testing available. Tape and reel specification for all CXSM SMD crystals. Miniature cylindrical crystal with AT-CUT strip crystal providing low mass with small size. 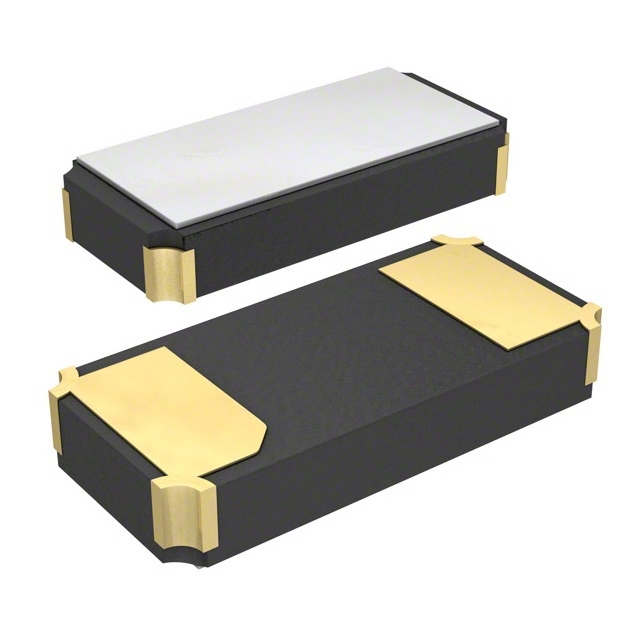 DFXO oscillators provide low jitter with ultra high frequency output. Available from 20MHz to 300MHz the oscillator is available with CMOS output or differential LVDS and LVPECL outputs. A 14 pin DIL package TCXO. Stability from ±1ppm -30°~+75°C. Clipped sinewave output 0.8V p-p min. into a 10kOhms//10pF load. 14 pin DIL through-hole TCXO without trimmer. Stability from ±1ppm -30°~+75°C. CMOS square wave output. Wide frequency range. 14 pin DIL through-hole TCXO with trimmer. Stability from ±1ppm -30°~+75°C. HCMOS square wave output. Wide frequency range. A 14 pin DIL TCXO with trimmer. 32.768kHz or from 20kHz to 50kHz. Stability from ±1ppm -30°~+75°C. HCMOS square wave output. An ultra-miniature, 2.0 x 1.6 x 0.8mm SMD, clipped sinewave-output TCXO. Excellent temperature stability, from ±0.5ppm. Output level 0.8V p-p minimum into a 10k Ohms //10pF load. RoHS and REACH Compliant. An ultra-miniature, 2.5 x 2.0 x 0.8mm SMD, clipped sinewave-output TCXO. Excellent temperature stability, from ±0.5ppm. Output level 0.8V p-p minimum into a 10k Ohms //10pF load. RoHS and REACH Compliant. Clipped sinewave output TCXO in an ultra-miniature 3.2 x 2.5mm SMD package. Frequency range 13MHz to 52MHz. Stability from ±1ppm -30°~+75°C. The clipped sinewave output level 0.8Vp-p min. into a 10k Ohms //10pF load. RoHS Compliant. A micro-miniature CMOS, 4 pad SMD TCXO. Stability from ±1ppm -30°~+75°C. RoHS and REACH compliant. High spec with low cost. Quick delivery. HCMOS square wave TCXO With ultra-low current consumption, from 2.3mA. The part is packaged in a 14 pin DIL compatible package. Stability is from ±1ppm -30°~+75°C. Frequency range 12.8MHz to 26MHz. A through-hole mounted TCXO with clipped sinewave output. Fitted with a mechanical trimmer, the package is compatible with standard 14 pin DIL. Stability from ±1ppm -30°~+75°C. Output level 0.8Vp-p min. into a 10k Ohms //10pF load. Through-hole mounted TCXO with trimmer, 14 pin DIL compatible. Stability from ±1ppm -30°~+75°C. CMOS square wave output. Frequency range 12.8MHz to 26MHz. 32.768kHz TCXO, also available from 20.0kHz to 50.0kHz. Package is compatible with 14 pin DIL. Stability from ±1ppm -30° to +75°C and output is standard HCMOS square wave. A through-hole mounted TCXO with clipped sinewave output. Fitted with a mechanical trimmer, the reduced-height package is compatible with standard 14 pin DIL. Frequency range 10MHz to 27MHz. Stability from ±1ppm -30°~+75°C. Output level 0.8Vp-p min. into a 10k Ohms //10pF load. TCXO in a reduced height 14 pin DIL compatible package with mechanical frequency trimmer. Stability from ±1ppm -30°~+75°C. HCMOS square wave output. Wide frequency range 1.25MHz to 156.0MHz. A 32.768kHz TCXO, also from 20kHz to 50kHz. The reduced height package is fitted with a trimmer and is compatible with 14 pin DIL. Stability from ±1ppm -30°~+75°C and output is HCMOS square wave. 4 pad SMD TCXO with clipped-sinewave output. Low profile (2.5mm high,) 11.4 x 9.6mm SMD package. Stability from ±1ppm -30°~+75°C. Output level 0.8Vp-p min. into a 10k Ohms //10pF load. A 32.768kHz TCXO also from 20kHz to 50kHz. Produced in a low-profile, 4 pad, 11.4 x 9.6mm SMD package fitted with a mechanical trimmer. Stability from ±1ppm -30°~+75°C, output HCMOS square wave. 4 pad SMD TCXO with trimmer, clipped-sinewave output in 11.4 x 9.6 x 3.0mm SMD package. Stability from ±1ppm -30°~+75°C. Output level 0.8Vp-p min. into a 10k Ohms //10pF load. HCMOS square wave TCXO With ultra-low current consumption, from 2.3mA. The part is packaged in an 11.4 x 9.6 x 3.0mm SMD package. Stability is from ±1ppm -30°~+75°C. Part is RoHS compliant. Clipped-sinewave output TCXO in a miniature 5.0 x 3.2mm SMD package. Stability from ±0.5ppm 0°~+50°C. Output level 0.8Vp-p min. into a 10k Ohms //10pF load. 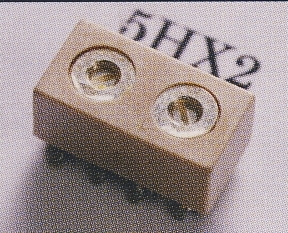 A miniature 4 pad SMD TCXO. Stability from ±1ppm -30°~+75°C. HCMOS square wave output. Wide frequency range. RoHS compliant. High spec with low cost. Quick delivery. 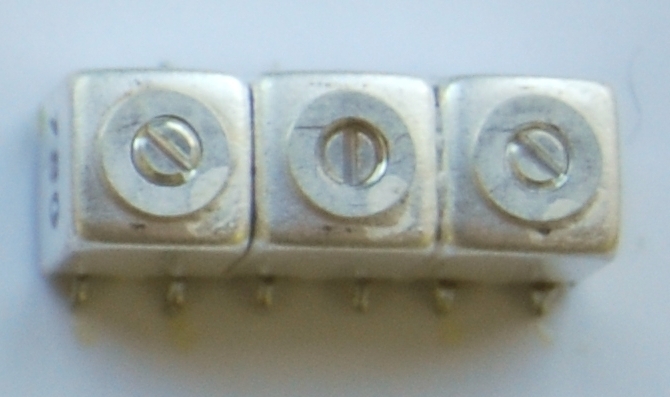 A miniature 4 pad SMD TCXO (EM572T) or VCTCXO (VEM572T). Stability from ±0.5ppm. HCMOS square wave output. RoHS compliant. Frequency range 1.25MHz to 40MHz. HCMOS TCXO at 32.768kHz or from 20kHz to 50kHz. 7.0 x 5.0mm SMD package. Stability from ±1ppm -30°~+75°C. HCMOS square wave TCXO With ultra-low current consumption, from 2.3mA. The part is packaged in a 7.0 x 5.0mm SMD package. Stability is from ±1ppm -30°~+75°C. Part is RoHS compliant. Clipped-sinewave output TCXO in the industry-standard 7.0 x 5.0mm SMD package. Stability from ±0.5ppm 0°~+50°C. The clipped sinewave output level 0.8Vp-p min. into a 10k Ohms //10pF load. Frequency Range 10MHz to 50MHz. 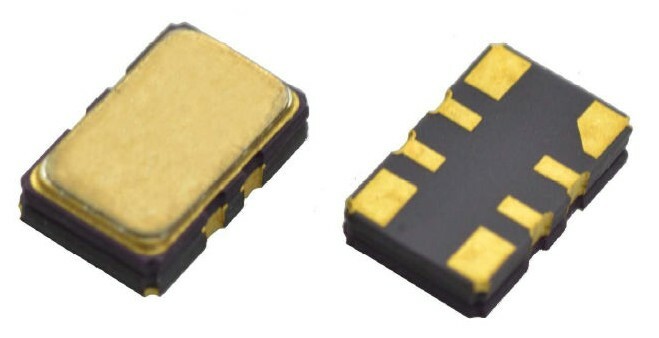 A miniature 4 pad SMD TCXO. Stability from ±1ppm -30°~+75°C. HCMOS square wave output. Wide frequency range. RoHS compliant. This part has been revised, for new designs see EM572T. For new designs see part M572T(kHz). HCMOS TCXO at 32.768kHz or from 20kHz to 50kHz. 7.0 x 5.0mm SMD package. Stability from ±1ppm -30°~+75°C. Part is RoHS compliant. HCMOS square wave TCXO With ultra-low current consumption, from 2.3mA. The part is packaged in a low-profile, 6 pad, 11.4 x 9.6 x 2.5mm SMD package. Stability is from ±1ppm -30°~+75°C. Frequency range 12.8MHz to 26MHz. A 6 pad SMD TCXO with clipped-sinewave output. Low profile, (2.5mm high) 11.4 x 9.6mm SMD package. Stability from ±1ppm -30°~+75°C. Output level 0.8Vp-p min. into a 10k Ohms //10pF load. Frequency range 12.8MHz to 27MHz. A 6 pad SMD TCXO in a reduced height 11.4 x 9.6 x 2.5mm package fitted with a trimmer. Stability from ±1ppm -30°~+75°C. HCMOS square wave output. Wide frequency range 1.25MHz to 156MHz. A 32.768kHz TCXO, also from 20kHz to 50kHz. Package is a low-profile 6 pad 11.4 x 9.6mm SMD. Stability from ±1ppm -30°~+75°C and output is HCMOS square wave. 6 pad clipped-sinewave output TCXO. Supplied in 11.4 x 9.6 x 3.0mm SMD package with trimmer. Stability from ±1ppm -30°~+75°C. Output level 0.8Vp-p min. into a 10k Ohms //10pF load. A 6 pad SMD TCXO in a reduced height 11.4 x 9.6 x 3.0mm package fitted with a trimmer. Stability from ±1ppm -30°~+75°C. HCMOS square wave output. Frequency range 1.25MHz to 156MHz. HCMOS square wave TCXO With ultra-low current consumption, from 2.3mA. The part is packaged in a 8 pin DIL package. Stability is from ±1ppm -30°~+75°C. Part is RoHS compliant. Frequency range 12.8MHz to 26MHz. A clipped sine wave output, 8 pin DIL TCXO. Stability from ±1ppm -30°~+75°C. Output 0.8Vp-p min., 10k Ohms //10pF. Frequency range 10MHz to 27MHz. 8 pin DIL TCXO. Stability from ±1ppm -30°~+75°C. HCMOS square wave output. Frequency range 1.25MHz to 156MHz. An 8 pin DIL TCXO. 32.768kHz or from 20kHz to 50kHz. Stability from ±1ppm -30°~+75°C. HCMOS square wave output. An 8 pin DIL, clipped sine wave output TCXO, fitted with a mechanical trimmer. Stability from ±1ppm -30°~+75°C. Output 0.8Vp-p min., 10k Ohms //10pF. Frequency range 10MHz to 27MHz. 8 pin DIL through-hole TCXO with trimmer. Stability from ±1ppm -30°~+75°C. CMOS square wave output. Frequency range 1.25MHz to 156MHz. 8 pin DIL TCXO with trimmer. 32.768kHz or from 20kHz to 50kHz. Stability from ±1ppm -30°~+75°C. HCMOS square wave output. 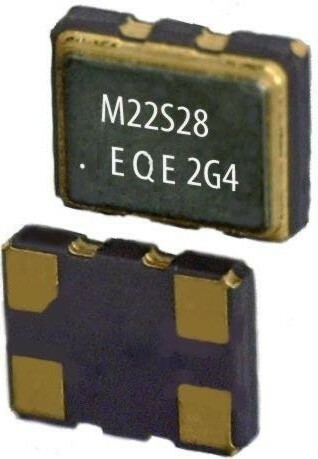 A low power, (current consumption 0.79µA at 1.8V supply) 32.768kHz TCXO. Frequency stability ±5ppm over -40° to +85°C. LVDS output, 6 pad, 7 x 5mm SMD TCXO. Stability from ±1ppm -30°~+75°C. 'F' Group characteristics. Frequency Range 38.880MHz to 432.0MHz. A miniature 4 pad SMD TCXO (EML572T) or VCTCXO (VEML572T). Stability from ±0.5ppm. HCMOS square wave output. RoHS compliant. 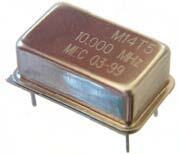 For a CMOS TCXO from 1.56MHz to 40MHz see part EM572T. High frequency range, 14 pin DIL through-hole TCXO (without trimmer). Stability from ±1ppm -30°~+75°C. CMOS square wave output. 'V' group TCXO characteristics. High frequency range, 14 pin DIL through-hole TCXO with trimmer. Stability from ±1ppm -30°~+75°C. CMOS square wave output. 'V' Group TCXO characteristics. 14 pin DIL compatible TCXO with trimmer. 3.3 Volts supply. Stability from ±1ppm -30°~+75°C. HCMOS square wave output. Frequency range 27.0MHz to 200.0MHz. 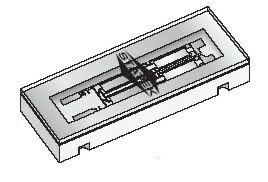 A reduced height 14 pin DIL compatible, through-hole TCXO with trimmer. 3.3 Volts supply. Stability from ±1ppm -30°~+75°C. HCMOS square wave output. Frequency range 27.0MHz to 200.0MHz. 4 pad low-profile TCXO with trimmer. 3.3 Volts supply. Stability from ±1ppm -30°~+75°C. HCMOS square wave output. Frequency range 27.0MHz to 200.0MHz. Miniature 4 pad SMD TCXO. Stability from ±1ppm -30°~+75°C. HCMOS square wave output. Frequency range 27.0MHz to 200.0MHz. RoHS Compliant. 6 pad, low-profile SMD TCXO with trimmer. 3.3 Volts supply. Stability from ±1ppm -30°~+75°C. HCMOS square wave output. Frequency range 27.0MHz to 200.0MHz. An 8 pin DIL TCXO. 3.3 Volts supply. Stability from ±1ppm -30°~+75°C. HCMOS square wave output. Frequency range 27.0MHz to 200.0MHz. 8 pin DIL through-hole TCXO with trimmer. Stability from ±1ppm -30°~+75°C. CMOS square wave output. 'V' Group characteristics. 14 pin DIL TCXO. High frequency range. Stability from ±1ppm -30°~+75°C. CMOS square wave output. 'W' group TCXO characteristics. A reduced height 14 pin DIL compatible TCXO with trimmer. Stability from ±1ppm -30°~+75°C. HCMOS square wave output. 'W' group TCXO characteristics. 4 pad SMD TCXO with trimmer. High frequency range. Stability from ±1ppm -30°~+75°C. HCMOS square wave output. LVDS output, 6 pad, SMD TCXO. Stability from ±1ppm -30°~+75°C. 'W' Group characteristics. PECL output, 6 pad, 7x5mm SMD TCXO. Stability from ±1ppm -30°~+75°C. PECL 'W' Group characteristics. Miniature 4 pad SMD TCXO. High frequency range, 200MHz to 800MHz. Stability from ±1ppm -30°~+75°C. HCMOS square wave output. RoHS compliant. 6 pad SMD TCXO with trimmer. High frequency range. Stability from ±1ppm -30°~+75°C. CMOS square wave output. 'W' group TCXO characteristics. 8 pin DIL through-hole TCXO. High frequency range. Stability from ±1ppm -30°~+75°C. CMOS square wave output. 'W' group TCXO characteristics. 8 pin DIL through-hole TCXO with trimmer. High frequency range. Stability from ±1ppm -30°~+75°C. CMOS square wave output. 'W' group TCXO characteristics. Ultra-miniature SMD watch crystal, 3.2 x 1.5 x 0.75mm. PH32768F. Ultra-miniature SMD watch crystal, 2.05 x 1.2 x 0.6mm. PH32768V. A miniature SMD 32.768kHz watch crystal in a ruggedized ceramic package. An ultra-miniature SMD watch crystal, 2.0 x 1.2 x 0.6mm. One of the smallest crystals available for 32.768kHz. 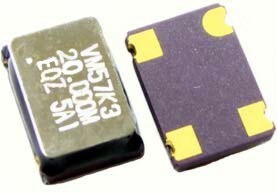 A 'drop-in' replacement for standard 11.4 x 9.6 x 2.5mm SMD oscillators providing an EMI reduction of <12dB. 14 pin Dual in Line CMOS oscillator. Stability from ±10ppm. Enable/disable option. 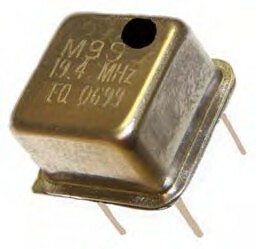 14 pin DIL, HCMOS/TTL oscillator with ceramic substrate, providing a high reliability and well-proven oscillator design, approved to MIL spec. A radiation tolerant version available. May be screened to MIL-O-55310C Class B. A CMOS output, 8 pin dual-in-line oscillator. Operating temperature range from -40° to +85°C. Stability from ±10ppm. Enable/disable option. SMD version of standard 8 pin DIL, metal can oscillators. Tight stability and wide operating temperature range is available. A HCMOS oscillator with ceramic substrate packaged in a 14 pin DIL package with 14 pins. High reliability design, approved to MIL spec. Radiation tolerant version available. Screening to MIL-O-55310C Class B available. 8 pin DIL programmable CMOS/TTL oscillator. Stability from ±25ppm -40° to +85°C. Low jitter. QUICK TURNROUND - Usually within 48 hours. 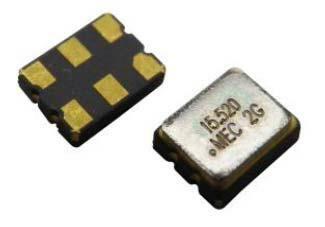 An ultra-small SMD ceramic packaged real time clock module with integrated 32.768kHz crystal. I2C Bus. Provides tenth/hundredths of seconds, seconds, minutes, hours and date functions. Programmable CLKOUT frequencies. Design considerations when specifying custom filters. Crystal filter theory and definition of terms used. A VCXO packaged in the industry-standard 14 pin DIL package with frequency range 625.0kHz to 50.0MHz. Pull range standard ±80ppm min. Integrated phase jitter 1.0ps. A micro-miniature 4 pad SMD VCXO in a low-profile 3.2 x 2.5mm package. Pull range standard ±80ppm minimum. Integrated phase jitter 1.0ps. A micro-miniature 6 pad SMD VCXO in a low-profile 3.2 x 2.5mm package. Pull range standard ±80ppm minimum. Integrated phase jitter 1.0ps. 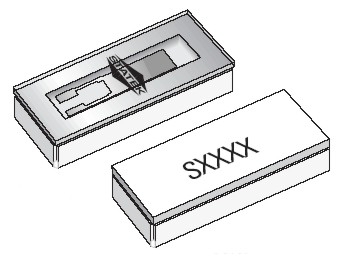 A miniature 4 pad SMD VCXO in a low-profile 5 x 3.2mm package. Pull range standard ±80ppm. Integrated phase jitter 1.0ps. 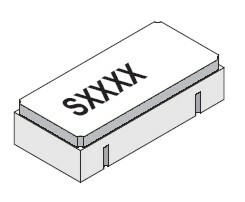 A miniature 6 pad SMD VCXO in a low-profile 5.0 x 3.2mm package. Pull range standard ±80ppm minimum. Integrated phase jitter 1.0ps. A 6 pad SMD VCXO in standard 7 x 5mm outline package. Pull range standard ±80ppm minimum. Integrated phase jitter 1.0ps. An 8 pin DIL VCXO with frequency range 625kHz to 50.0MHz. Pull range ±80ppm min. Integrated phase jitter 1.0ps. A 'Q' Series VCXO, GDQF are precision LVDS output VCXOs offering low integrated phase jitter and low current consumption. Available on quick delivery. Supply Voltage is 3.3V or 2.5V. Available in 7 x 5mm or 5 x 3.2mm SMD packages. A 'Q' Series VCXO, GDQN are precision LVDS output VCXOs offering low integrated phase jitter and low current consumption. Available on quick delivery. Supply Voltage is 3.3V or 2.5V. Available in 7 x 5mm or 5 x 3.2mm SMD packages. A MIL compliant, 14 pin DIL oscillator. Frequency range fron 0.1Hz to 60MHz. HCMOS output. May be screened to MIL-O-55310C Class B. A 'Q' Series VCXO, GPQF are precision LVPECL output VCXOs offering low integrated phase jitter and low current consumption. 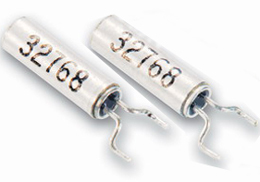 Available on very short delivery timescales, Supply Voltage is 3.3V or 2.5V. Available in 7 x 5mm or 5 x 3.2mm SMD packages. A 'Q' Series VCXO, GPQN are precision LVPECL output VCXOs offering low integrated phase jitter and low current consumption. Available on very short delivery timescales, Supply Voltage is 3.3V or 2.5V. Available in 7 x 5mm or 5 x 3.2mm SMD packages. Industry-standard dual-in-line package. Good Phase Noise over MIL temperature range. Wide frequency range. Output Squarewave, ACMOS available 1.25MHz to 50MHz, PECL. Tight stability, low profile SMT package, frequency range: 10MHz - 300MHz, Output CMOS or Sine (ZT601) Package outline 25.4 x 25.4 x 5.08 mm. Wide temperature operation with low phase noise. HCMOS output in 14 pin DIL SMD package. Supply voltage 5.0, 12.0 or 15.0 Volts. Available with Screening & Testing to MIL STD. Industry-standard dual-in-line package. Low Phase Noise. Wide temperature operation. Output Squarewave, HCMOS. Standard Dual-in-Line package, frequency range: 10MHz - 30MHz, low phase noise. Very high stability, from ±0.04ppm over 0 to +50°C. Frequency range: 10MHz - 60MHz. Output CMOS. PECL output VCXO in SMD package. 100MHz to 200MHz, low jitter. Pull range <±100ppm. PECL output VCXO in 14 pin DIL package. 100MHz to 200MHz, low jitter. Pull range <±100ppm. OCXO in a miniature package. Frequency Range: 10MHz - 100MHz. Excellent stability, low phase noise. Output Sine wave. OCXO in a miniature package. Frequency Range: 10MHz - 100MHz. Excellent stability, low phase noise. Output HCMOS. STRATUM 3 Compliant OCXO. Frequency range: 10MHz - 100MHz, low phase noise. Sine wave output, HCMOS, also available. STRATUM 3 Compliant OCXO. Frequency range: 10MHz - 100MHz, low phase noise. Square wave, HCMOS output. Very low phase noise. Frequency range: 10MHz - 120MHz. Excellent stability. Sinewave output. Low phase noise OCXO, frequency Range: 10MHz - 30MHz, excellent stability. Output Sine wave. Low phase noise OCXO, frequency Range: 10MHz - 30MHz, excellent stability. Output HCMOS. Standard Dual-in-Line package, frequency range: 10MHz - 100MHz, stability from ±2x10e7. Low phase noise vs. vibration. Excellent acceleration sensitivity. HCMOS output, Sine wave output also available. A clock oscillator for high frequency applications, 125MHz to 800MHz. Stability from ±10ppm, operating temperature range from -10° ~ +70°C to -55°~+105°C. Integrated phase jitter 2.6ps typical. 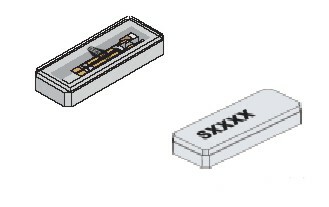 A miniature SMD VCXO in 5.0 x 3.2mm package. High stability of 0.1ppm over -10° to +70°C. HCMOS or Clipped Sine Wave output. Low cost VCXO with OCXO performance. A CMOS clock oscillator for higher frequency operation, 125.0MHz to 200MHz. Stability from ±10ppm over -10° ~ +70°C. A 6 pad SMD clock oscillator for higher frequency HCMOS applications, 125.0MHz to 200MHz. Stability from ±10ppm over -10° ~ +70°C. Integrated phase jitter 2.3ps typical. 7x5mm SMD programmable CMOS/TTL oscillator. Stability from ±25ppm -40° to +85°C. Low jitter. Enable/disable or standby functions. QUICK TURNROUND available usually within 48 hours. A high frequency range, SMD programmable oscillator with LVPECL output. Stability from ±25ppm -40° to +85°C. Low jitter. QUICK TURNROUND, usually within 48 hours. 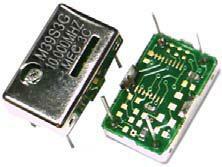 A miniature 5 x 3.2mm SMD programmable oscillator with HCMOS/TTL output. Stability from ±25ppm -40° to +85°C. Low jitter. QUICK TURNROUND - Usually within 48 hours. A resin encapsulated SMD programmable oscillator with HCMOS/TTL output. Stability from ±25ppm -40° to +85°C. Low jitter. QUICK TURNROUND - Usually within 48 hours. 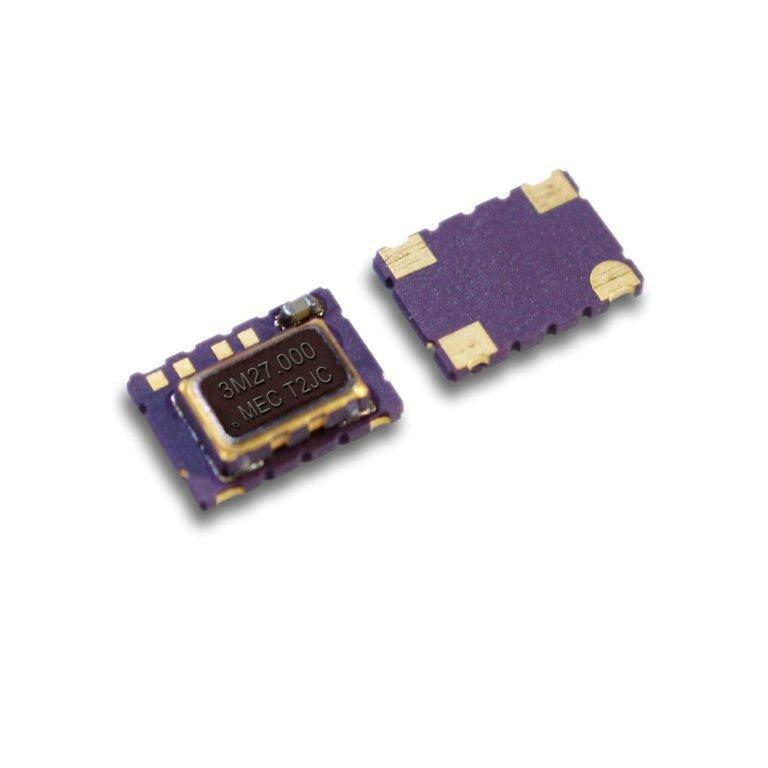 A miniature SMD packaged oscillator designed for extended temperature range operation. XON91 oscillators will provide stability of +-50ppm over -55 to +125C. The part exhibits good jitter and phase noise performance. Frequency range 1.75MHz to 60MHz. 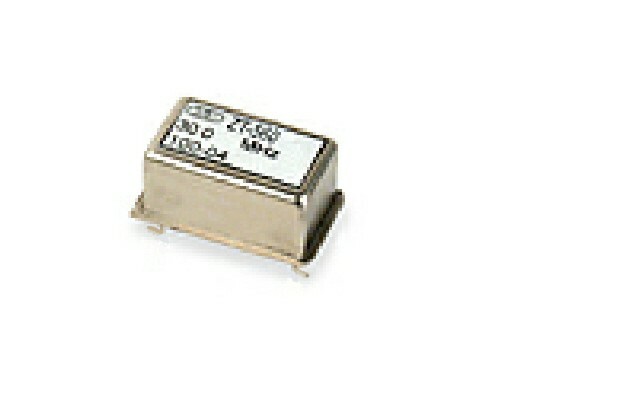 A miniature SMD packaged oscillator designed for extended temperature range operation. XON53 oscillators will provide stability of +-50ppm over -55 to +125C. The part exhibits good jitter and phase noise performance. Frequency range 1.75MHz to 60MHz. 5 x 3.2mm package.